Today I was starving, so I went for a second helping of “The Hunger Games: Catching Fire.” It’s a shame they could not get the charcoal going. Our heroine, Katniss Everdeen (Jennifer Lawrence from “Silver Linings Playbook”) and her buddy Peeta Mellark (Josh Hutcherson from “The Kids are Alright”) are basking in the glory of their victory in the last movie. They have everything they could ever want – except flame retardant clothing. But good old President Snow (Donald Sutherland from “The Mechanic”) fears that Katniss has turned into some kind of Joan of Arcadia. He makes the couple parade through the districts to demonstrate their love and allegiance to the Capital. Katniss and Peeta find things are worse now, but they also see something new. The people now have hope, and they are responsible for giving it to them. President Snow can see a rebellion brewing and brings in Plutarch Heavensbee (Phillip Seymour Hoffman from “Moneyball”) to run the next Hunger Games. Heavensbee flips the script like my brother used to flip over the Monopoly board when I was close to winning. Just like today’s reality TV shows, they come up with Hunger Games: All Stars. It takes 90 minutes to get to this point and should have gotten there in 25. I know Syd Field, author of “Screenplay,” died, but his book is still valid. The last hour of the movie is a second act, and that is where the movie ends. Much like “The Empire Strikes Back,” you know the war has just begun. This movie felt like just another episode, stringing us along to something big. They might as well put “tune in next year” on the screen. I know I got suckered into “Lost” for six years, and I still don’t know what the point of that was. This was a nice episode, but all this movie did was set up the next movie. For that matter, it hardly added much from the first movie. Just because there were three books does not mean there should be three movies. The only hero here is the studio that is sure to rake it in at the box office. 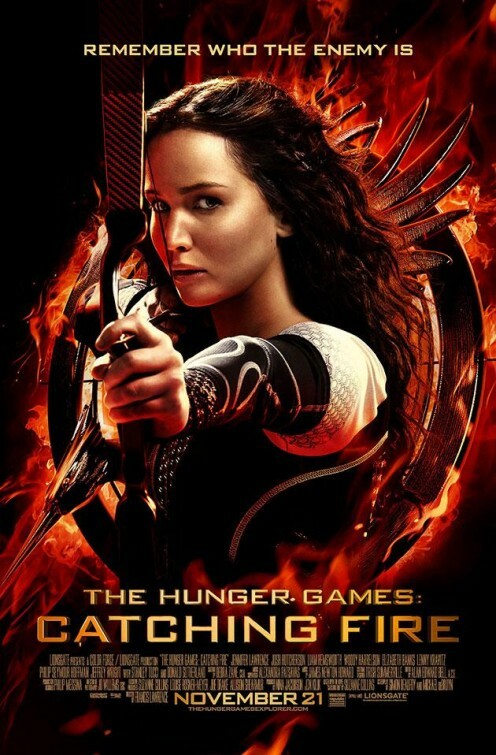 I expected more from Katniss, and there is even a running gag in the movie that nobody knows what Katniss is really like. The screenwriters and the directors decided to keep the secret…until the next movie – maybe. Because of that, I can only give this movie 2 stars out of 5. I just hope the next Game is not called off because of lame. I need more than just an appetizer. Though the first still feels like the better of the two, this one still has me ready for what’s to come next of this story. Good review Tom.